Catherine Summer Carlson knows how to manage bands like a professional—she’s a student at the PopArts Academy at Mount Hope High, where rock legends Allegiance to North got their start. The never-skipping-class Catherine part of her knows, though, that falling for the lead singer of her latest band is the least professional thing a manager can do. But Caleb Daniels isn’t an ordinary band boy—he’s a hot, dreamy, sweet-singing, exiled-from-his-old-band, possibly-with-a-deep-dark-side band boy. And he can do that thing. That thing when someone sings a song and it inhabits you, possesses you, and moves you like a marionette to its will. 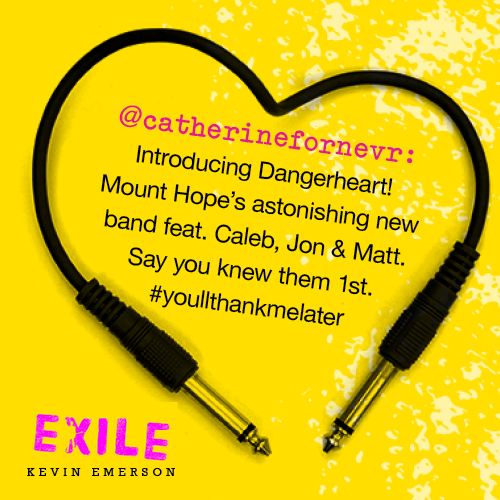 Over tacos on lunch dates to far-off outlet-mall planets and during practices at the Hive with their new band, Dangerheart, Catherine—no, Summer—falls in love with Caleb. She also finds herself at the center of a mystery she never saw coming. When Caleb reveals a secret about his long-lost father, one band’s past becomes another’s present, and Summer finds it harder and harder to be both band manager and girlfriend. She knows what the Catherine side of her would do, but she also knows what her heart is telling her. Maybe it’s time to accept who she really is, even if it means becoming an exile herself. . . .
Kevin Emerson has a new book called EXILE publishing this month. He’s an author as well as a musician! Listen to the songs at Harper Collins site, plus read the first 60 pages or download the songs. 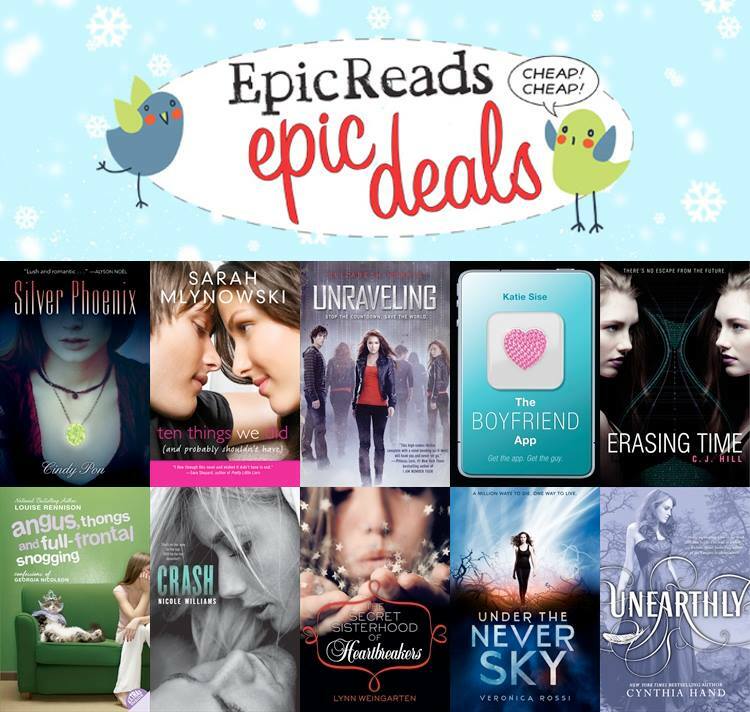 Check out these awesome new e book deals from Epic Reads! Click each title to learn more.